I read an interesting article recently. Without going into all the gory scientific details, the gist of the article was as follows: even lean diabetics may have the same metabolic profile and telomere length shortening as non-diabetic obese people, if those lean diabetics have poor sugar control. What is the big deal? Well, it means that, metabolically speaking, your telomeres really don’t know and certainly don’t care if you are fat with normal sugar levels, or skinny with bad sugar levels. The central problem is a signaling molecule that comes from fat (yes, fat is very active!) called adiponectin. In order to make sense of the opening statements, let’s take a brief simple look at this fat made hormone known as adiponectin. Adiponectin is secreted in very high concentrations relative to other hormones, probably because it is so important to metabolic regulation. It helps regulate appetite, sugar levels and fat levels in the bloodstream. When it is present in high levels, blood sugar is reduced, appetite is reduced and fat synthesis is reduced. The problem arises when you get fat. Then, adiponectin levels go down. This is part of what I refer to as the vicious cycle of obesity. Simply put, you getting fat supports you getting fatter and makes weight loss harder. If you’ve ever been fat or know someone who has been for a while, you know the struggles involved. Here’s a tip: Being fat is inflammatory, and anti-inflammatory supplements can actually increase adiponectin (good!). This includes our old friend fish oil! If you are not on fish oil, you should be. Losing weight and reducing your blood sugar, even if you are not diabetic can also help. Blood sugar control is another big one! Poor blood sugar control with large excursions into high blood sugar levels can reduce adiponectin levels (bad). High triglycerides (blood fats) can also lower adiponectin levels. Remember, fish oil is good for that too! As a matter of fact, the only current FDA approved use for all the fish oil prescription “drugs” out there is to lower triglycerides. OK, let’s look at this soon to be household word “adiponectin” and telomere shortening. There is a linear relationship between adiponectin levels and telomere length. Higher adiponectin levels equal longer telomeres, all other things being equal. Lower levels, as in obesity and poorly controlled diabetes, metabolic syndrome and most likely, low tissue Omega 3 levels, leads to more rapid shortening of telomeres, all other things being equal. Now rest assured, Big Pharma is hard at work trying to create an “adiponectin-like” drug, which is bound to have horrendous side effects, the way they all do when you mess with Mother Nature. 3) Healthy blood sugar control. In other words, all the things you already knew! Being overweight increases the risk of several cancers including breast, pancreas, and colon. Being overweight shortens your telomeres and your health and lifespan. 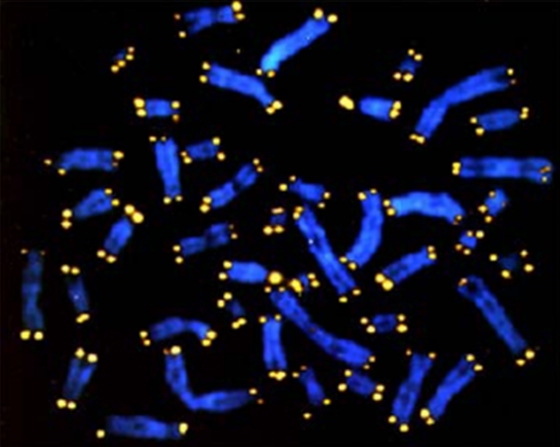 Once you lose telomere length from obesity, studies suggest you do not “get it back”, even by weight loss, unless you actively pursue telomerase activation – see TA-65 below. You do not need to wait until Big Pharma releases their next round of abominations with all the attendant side effects and problems that are bound to happen, when you isolate one receptor and slam it with a drug that is beyond anything the human body was designed to handle. 1) For weight loss, Ultra Strength Fat Furnace (I cannot tell you it will control blood sugars in disease states, but I will tell you I put some “healthy sugar support” compounds in there!). 2) For telomere support/telomerase activation, TA-65, The Telomere Edge Packs or better yet, both! 3) The world’s best cleanest fish oil. If you can handle things with diet, exercise and lifestyle modifications and you can KEEP doing that day in and day out every day, you won’t need that help and more power to you. For the rest of us humans, it doesn’t matter how you get there, just get there!